Our skin is our largest organ and probably our most abused. So, starting ideally a week before your photo session, show your skin more than usual kindness. Wear sunscreen, don’t get burned. Stay hydrated. For every cup of coffee or serving of alcohol, you should have a full glass of water. If you want to, get a facial a few days before ( but please not the day before, because that can be rocky). Makeup: less is more. Use a light base foundation, and light concealer on places that are needed. Please do not use thick face makeup or powder… it makes you look fake in a photo. Lip liner and drawing in eyebrows also tends to be a bit much. Remember this is your professional photo and not a Gucci ad. Unless you want this to be a Gucci ad, and then hey, I will roll with it. So if you are not an every day big makeup wearer, that is fine… don’t feel like you need to add a bunch of makeup you don’t usually wear. But I do want everyone to do this: check your eyebrows for any crazy out there hairs and stragglers and pluck them. Don’t get them waxed, just take care of weird ones. Same with along your chin. If you have darkness above your lip, maybe consider having that waxed the week before… but once again, please not the day before. And if you normal wear a lot of makeup, think about toning it down just a little, especially with face powder. And if you don’t quite trust me on that, come in with minimal, bring your foundation/powder, and if you don’t like what you see you can add some. 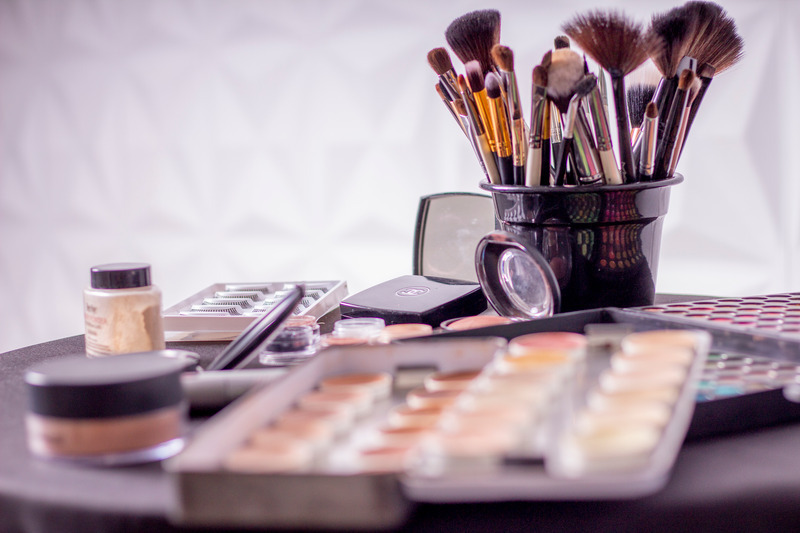 Have a makeup professional on hand to help you look your best. We highly recommend Kehlief Campbell. Elegant airbrush and/or traditional makeup for professional head shots includes one-on-one consultation to assess client’s skin concerns. We will then work together to develop your signature makeup look for your photo session. Dry styling of hair to include light touch-ups with flat iron, to give you a polished look for your professional head shots. Email Kehlief after booking your headshot session to add on your hair and makeup appointment.